Normal hair loss is common and not a thing to worry, however, an abnormal and recurrent fall in your hair can be a serious issue. 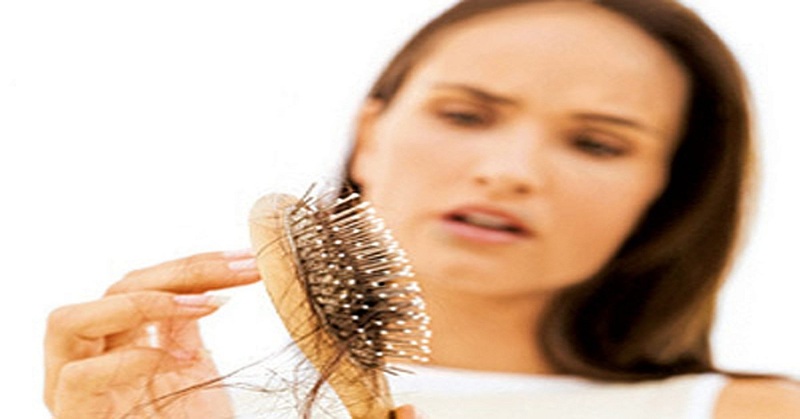 Hair loss can be due to hormonal changes, stress, bad lifestyle, deficiency of vitamins, menopause or thyroid problems. If you take proper measures in advance, you can prevent hair loss to a major extent. Omega-3 fatty acids nourish your hair follicles making them strong, elastic and dandruff-free. Include foods like flax seeds, walnuts, egg yolks, fish and milk in your diet which are rich in omega-3 fatty acids. Vitamin A acts as an anti-oxidant, which increases sebum production in hair. Sweet potatoes are rich in Vitamin A.
Vitamin E plays important role in stimulating blood circulation in the scalp. Have almonds, corn, sunflower, and wheat germ. B Vitamins helps in melanin production, which gives black color to your hair. Eat green, leafy vegetables, beans and whole grains. Eat food enriched with iron, calcium, zinc, and protein for healthy hair. Drink plenty of water to prevent dryness of hair. Viviscal: This supplement improves hair growth, as it constitutes of silica, Vitamin C and fish protein, which are needed for strong hair. Biotin: Biotin supplement prevents thinning of hair, is recommended by hair specialists, because it is water-soluble, and has no side effects. Vitamin D: It plays a major role in hair cycle but it is difficult to get Vitamin D from natural sources so dermatologists often suggest Vitamin D supplement. Vitamin A: It is an antioxidant used for hair growth but does not take overdosage of this supplement as it can cause side effects.